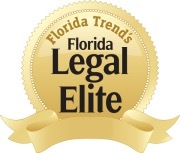 Proudly representing victims of medical malpractice and complex personal injuries throughout the State of Florida. We devote significant resources to each one of our cases, while giving clients the personalized attention only small firm can offer. Our opponents know we’re not afraid to take our cases to court, resulting in better recoveries for our clients. Our team works on a contingency basis: If we don’t secure a recovery for you, you won’t owe us a dime. With over a century of combined experience, the Florida medical malpractice lawyers at Freidin Brown, P.A. has handled some of the most significant medical malpractice and personal injury cases throughout the State of Florida. As a boutique firm with only six lawyers, we pride ourselves on the big-firm resources we devote to our cases, while still being able to give our clients the personalized care and attention they deserve. We use cutting-edge technology in the courtroom and retain medical experts from some of the best universities and teaching institutions in the world to give our clients every advantage. We also limit our practice to cases involving medical malpractice, serious personal injuries, and whistleblower claims, allowing us to maximize results by providing our clients with experienced and focused legal representation. 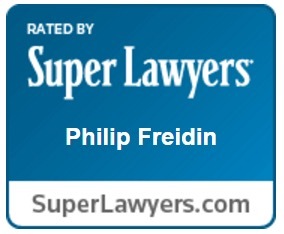 Freidin Brown, P.A.’s legal team is complimented by 5 other attorneys, including Senior Partner Joel H. Brown, a childhood friend of Phil’s who joined the firm when he retired from serving as the Chief Judge of the Miami-Dade court system. Combined with the younger attorneys on the firm’s roster, our team has built an impressive reputation for representing clients in some of the most serious medical malpractice, complex personal injury, and whistleblower cases. The firm is also proud of the amazing staff supporting our attorneys, including three staff members who have been with the firm for over 20 years. When we take your case, you become part of the Freidin Brown, P.A. family. Our success is built on representing our clients like we would represent our own—with dedication, persistence, and compassion. We are the Florida firm devoted to you. Our decades-long focus in the field of medical malpractice means we have the knowledge, skills and experience to understand even the most complex cases of medical negligence, from misdiagnosis, birth injury and medication errors to hospital errors in the ER, OR, lab and more. We’ve taken on Baptist Hospital of Florida and over a dozen other Florida hospitals and held them accountable for injuries caused by their failure to provide the appropriate, accepted level of care. 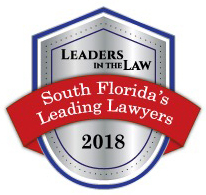 More than other types of injury, Florida law places unique limitations and restrictions on the pursuit of justice in medical malpractice cases. Our Florida medical malpractice lawyers thoroughly understand these challenges and have recovered millions of dollars for our clients in medical malpractice claims. From airplane accidents to wrongful death, Freidin Brown, P.A. takes on all of Florida personal injury claims, specializing in cases involving the most serious or life-changing injuries. We understand how such injuries impact you now and for the rest of your life, and we strive to see that you are compensated to the fullest extent for the medical expenses, lost income, pain and suffering and other legal damages you’ve been forced to endure by another’s negligence. Call our office for a no-cost consultation after any serious car, truck or motorcycle accident, construction accident, nursing home abuse, slip and fall, defective product injury or other personal injury. With a diverse staff of well-trained and highly-qualified lawyers from a variety of backgrounds, Freidin Brown, P.A. is able to meet your needs in a variety of legal areas. Call our office for help with family law, commercial litigation or assault and battery civil suits in Florida. We also pursue qui tam/whistleblower claims to uncover healthcare fraud and make Florida healthcare corporations pay for violations of the federal False Claims Act or Florida False Claims Act. Based in Florida and with a satellite office in Fort Myers, we take cases throughout the state of Florida to help victims of medical malpractice, birth injuries, or other personal injuries in order to get them the best care and maximum compensation to deal with the cost, pain, and disruption to their lives this negligence has caused. Call us anytime at ​888-677-7764​ for a free​ case consultation. Phones are answered 24/7, and we’ll arrange a meeting at a time and place of your convenience. We handle all injury cases on a contingency fee basis; meaning we advance all the costs of litigation and only get paid out of a portion of the recovery. You won’t owe us a dime unless we recover for you. We have Florida medical malpractice lawyers and staff who speak fluent Spanish and French and welcome all native Spanish and French speakers to our office. Call Freidin Brown, P.A. today and find out how we can help you. As advocates for the seriously injured, our number one goal is to help you get the care and compensation you need and deserve. High-value cases involving serious injuries are vigorously defended by large insurance companies and their teams of hired defense lawyers. They also involve highly complicated medical and legal issues unfamiliar to most lawyers. This is why picking the right lawyers to represent you in your particular case is among the most important decisions you’ll have. Our experience, reputation, and results prove we’re ready to represent you.